Clusters of fiery red trumpet-shaped flowers. 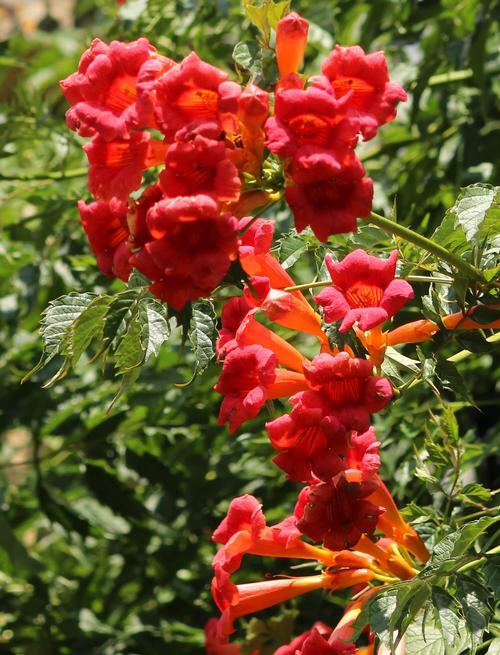 Clusters of large trumpet-shaped flowers add color and attract hummingbirds late summer. Develops thick woody stems and requires support structure.